Here in O’C&K HQ we’re embarking on a new experiment. We have invited Kayleigh Alexandra, a writer with the SME focused group MicroStartups, to share some marketing insights with us. In the following post, Kayleigh shares excellent advice for businesses who need to shift their online visibility to mobile-first – Jim. “If you believe that you still have time to prepare before you need to prioritise mobile friendliness in your content and online presence, you’re gravely mistaken; the digital world already demands mobile-first design. Mobile and tablet website views exceeded desktop views (Quartz Media) for the first time since almost two years ago now, and mobile platforms are currently the most popular for brand interaction and online purchasing— two key elements of business success. For this reason, it isn’t enough to quietly acknowledge that mobile devices are worth considering. It’s utterly crucial for web designers and business leaders alike to recognize mobile suitability as the primary priority and as a matter of some urgency. You might already have adjusted your procedures to produce mobile-responsive designs, but that is unlikely to suffice in the long run. In essence, mobile-responsive design simply reviews the customer journey across various devices and makes structural, functional and technological tweaks to ensure that the user experience is consistent across different platforms. Mobile-first design, however, isn’t about leveling the playing field. Instead, it places the mobile experience as the top priority and gets that right before addressing any other platforms. Only once the layout has been perfected on a small screen can it be expanded to suit laptop and desktop users. As a result, it takes into account various possibilities that are wholly restricted to mobile devices or just aren’t as popular elsewhere. Consider geo-targeted marketing, live chat channels, social media sharing options, and the presence of myriad sensors (gyroscopes, accelerometers, and proximity sensors, to name just a few). By starting with mobile devices, you can maximise your use of the available data and functions, knowing that you can simply disable or rework those features once you move to the desktop design phase. Analyse your traffic from mobile devices and social media referrals to figure out how consumers are finding your brand, to begin with. Survey your users to get direct feedback about how they heard about you and what changes they would like to see made. Once you have a solid amount of relevant data, you can review your planned customer journey to see how well it suits mobile customers. How could you enhance or add to it in a way that would make mobile users happier? Even a small change can make a huge difference. For instance, pizza chain Papa John’s took a mobile-first approach ahead of some store openings and targeted customers via geo-targeting. Through sending personalised deals to users within a three-mile radius of a new store, it was able to boost revenue at very little cost. As important as it is to optimise your designs and procedures for your customers, you shouldn’t overlook the impact of your internal operations. 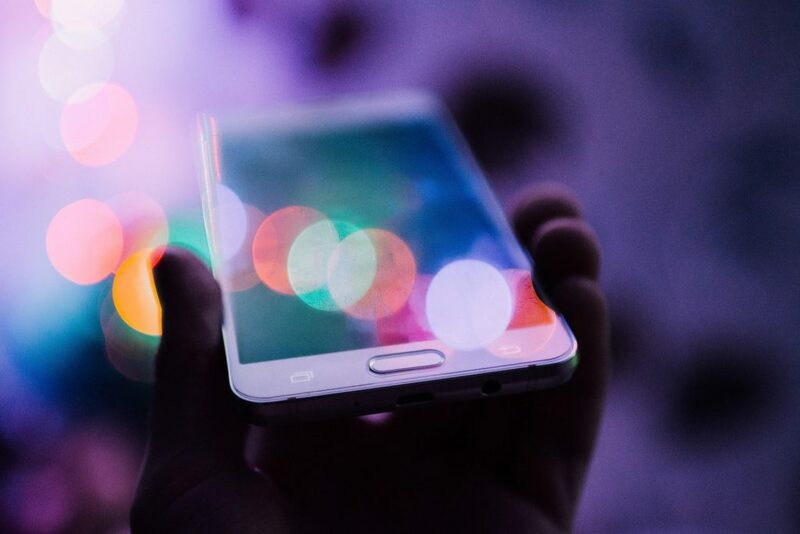 Being mobile-first is also about embracing the ever-increasing options of digital technology and recognising the part they can play in majorly improving efficiency. Implementing a mobile-led stock management system to free up staff and automate the handling of regular orders. Using security apps to facilitate stronger locks and make theft less likely. Handling support requests through mobile apps, rectifying customer complaints and providing further sales opportunities. Running time management and performance assessment through mobile devices instead of requiring laborious paperwork. Establishing a shared knowledge and communication base to make it easier for members of staff to handle tasks and request assistance. This is really just the tip of the iceberg, of course. There are so many ways in which new technology can revolutionise old methods (O’C&K post) that the only sensible thing to do is comprehensively review all your operating procedures and identify opportunities for improvement as best you can. Once you have identified possible customer and employee challenges you could resolve with mobile technology, you must carefully consider what you can feasibly accomplish in the near future, what should be pursued later, and what is outright unrealistic. Focusing strongly on practicality here is very important because it’s extremely common for businesses that have just started to learn about the possibilities of technology to let their imaginations run wild and get somewhat ahead of themselves. How much will it cost you to implement? How/when will it raise productivity and/or reduce operational costs? When will it deliver a return on your investment? What staff training or user documentation would it require? Do you have the hardware/data you need for it to be worthwhile? If you believe that it would serve you well to create an app, you should determine whether it would be suitable for monetisation. You could provide paid subscriptions, priced add-ons, or in-app advertising, for instance. That route may not be advisable, however— it really depends on how well the user base would respond to such an approach. While it’s true that mobile device capabilities are evolving year-on-year, remember that the principles of good design remain the same. No amount of useful functionality for your users or your staff will benefit them (or you, ultimately) if they don’t know how to take advantage of it. Thankfully, sticking to best design practices doesn’t need to be immensely complicated. You only need to look to the industry leaders to see how they structure their layouts and lead people towards the most important functions. Padded elements clear CTAs, universal iconography, accessible navigations, clear feedback following interactions; the basic formula has mostly been figured out by now, and there’s little need to reinvent the wheel. You can benefit from this more directly through using tools that adhere to best practices in their designs, functions, themes, and outputs. One of the main reasons why it’s become so commonplace for retail startups to build e-commerce sites using template-driven creators is that it guarantees them mobile-first design principles with no effort or research required. Regardless of the exact changes you end up making, be they bespoke or drawn from existing tools and resources, you’ll need to maintain the level of UX quality they establish from then on. Setting a good precedent today, only to fall short of it tomorrow, will only serve to make you look inconsistent and unreliable. Take the time to set aside the time and budget you need to get it right the first time. Before your product launch, you must ensure that any bugs and glitches that you identified during the testing phase have been fixed. It’s also worth quickly returning to the initial reasoning behind the changes you chose to make and confirming that you’ve met your identified targets (if you haven’t, then something has gone majorly wrong— but it isn’t impossible). But the testing doesn’t stop once you’ve made your changes. In fact, if you want to take mobile-first design seriously, your testing should never stop. You should always be looking out for additional alterations you could make to improve things even further. After all, the mobile world moves and changes incredibly quickly, and you can’t know that today’s perfect solution will be the right fit even just a few months from now. To support your testing and analysis, you’ll need to have a robust analytics setup in place. In most instances, Google Analytics will suffice for this, but you may want a more user-friendly option (Google Analytics is notoriously dense). The more easily you can glean insight from user data, the better equipped you’ll be to keep iterating. And on the topic of data, one last consideration: the EU’s General Data Protection Regulation (GDPR) that is going into effect today (25th May 2018). Since effective mobile-first design requires the collection and interpretation of a lot of data, you need to understand and take action on your obligations or risk falling victim to legal action. “Thank you for reading our blog post today, we hope our pointers will help your business grow. Cheers – Aidan & Jim. From time to time we send a heads-up email to advise publication of our smarter marketing blog post. This entry was posted in Digital Visibility and tagged geo-targeted marketing, marketing insights, mobile-first, mobile-responsive on May 25, 2018 .